GSMArena team, 14 March 2018. We expected nothing short of chart-breaking performance from the Xperia XZ2 and the shiny new Snapdragon 845 beating inside it, and we weren't disappointed. We are still getting our first tastes of the new generation of flagship silicon and timing couldn't have been better. After we put Samsung's Exynos 9810 through the paces in the Galaxy S9 and S9+, we now get to see how it compares to the Snapdragon 845 as well. In our XZ2 review unit, the chipset is coupled with 4GB of RAM, although many markets will be getting even 6GB of memory. On the other hand, the other four power-efficient Kryo 385 Silver cores work at 1.7GHz, and their architecture is based on ARM's Cortex-A55 design. There is also a new Adreno 630 GPU, 30% more powerful than the Adreno 540 inside the Snapdragon 835. While earlier rumors seemed to give Samsung's Mali solution of choice a bit of an edge over the Adreno 630, the numbers we are seeing have them trading fierce blows, with the latter coming on top, more often than not. Of course, there are some other differences between the two chips as well, like ISP capabilities - where the Exynos 9810 has the upper hand, with 4K@120fps video capture capabilities. 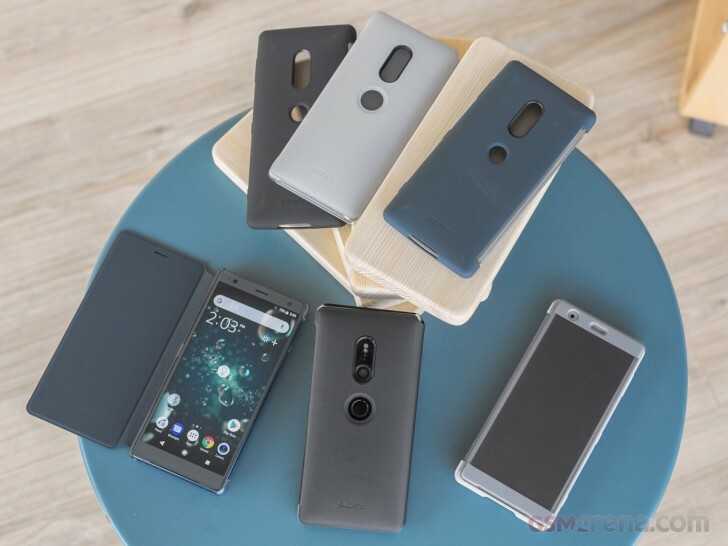 Still, the Xperia XZ2 brings a fair share of camera goodies and extra features of its own to the table, so the race towards consumer appeal is very much on. But, more on that in the camera section. As far as connectivity goes, just like its Exynos rival, the Snapdragon 845 is decked out. It has a new modem - the X20 with 5CA and LTE Cat1.18 downlink of 1.2Gbps. Sony also threw GPS, Bluetooth 5.0, with aptX HD, dual-band Wi-Fi ac, NFC and a USB 3.1, Type-C into the mix. No FM radio, though, in case you were wondering. With the specs out of the way, let's look at some performance numbers. Our usual warning does still apply though - synthetics are not necessarily representative of real-world performance. Nor are they an exact science and given the early nature of the new generation of chips, there is still a lot of optimization to be done, potential to be unlocked and proper testing scenarios to be designed. Plus, even though our selection of competing devices spans a couple of hardware generations back and all the way down to mid-range silicon, all of the devices on the list will still chew through any task you throw at them. Kicking things off with GeekBench and some pure CPU number-crunching ratings, we can see the Snapdragon 845 fall just a bit short of its Exynos 9810 rival. Still, both chips command an impressive lead over the rest of the devices on the list. And some of them are expensive flagships, which are only a few months old. It seems ARM as a whole still has some impressive leaps forward in its development roadmap. However, Apple remains the undisputed king of the hill when it comes to pure CPU prowess. Moving on to the compound benchmarks that take into account many other hardware aspects of its test subjects, we have AnTuTu 7. Once again, the Xperia XZ2 and Samsung Galaxy S9 find themselves neck to neck. This time around, however, Qualcomm takes the gold, and our hunch is, it might just have something to do with GPU performance. Basemark OS 2.0 seems to favor the Xperia XZ2 even more. Still, the iPhone X aside, it's pretty much another cut-throat race between the rest of the flagships on the list. We are dealing with synthetic performance variances here that fade away form a real-life consumer standpoint. Instead, putting the pressure on developers, racing towards better optimized and more fluent user experiences. Moving on the GPU tests, it's the Snapdragon's time to shine. Again, keeping in mind that most of these variances are hard to detect, if at all possible under real-world circumstances. Every good mobile game, worth its salt nowadays is so well optimized that you should be good with pretty much every flagship GPU solution for at least the average service time of a smartphone. A lot is riding on OpenGL optimization in these tests, with some minor implementation details potentially skewing numbers one way or another. 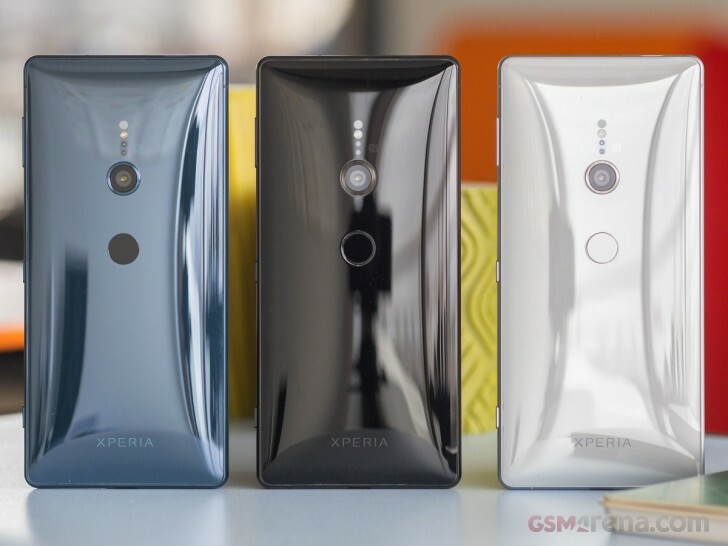 Staring with GFX 3.0 tests, we see the Xperia XZ2 pumping out around 10 frames more, on average, than the Samsung Galaxy S9 and almost 20 over the Huawei's Kirin 970-powered devices. This is a trend which mostly carries over to the higher OpenGL ES scenarios as well. Of course, we are talking about on-screen rendering performance here, since looking at on-screen numbers introduces other variables into the mix, like the native resolution at which each device renders. This is especially hard to properly take into consideration with the different aspect ratios added on top. Plus, in GFX 3.0 test, at least, reaching the test's upper frame limit cap of 59fps is now a reality. With OpenGL ES 3.1 loads things get a little more interesting, not to mention applicable to current and future game engines. Here we can really see the Adreno 630 flex its muscles. Not only does it command a 10 fps lead over the Mali-G72 MP18 inside the Galaxy S9, but it also manages to outpace the Apple GPU inside the iPhone X.
Ramping up the test difficulty only seems to make this lead more apparent. Of course, it can be observed in on-screen performance numbers as well. But like we said before, looking at those is a double-edged sword that requires factoring in pixel counts and rendering resolutions as well. Basemark X appears to tell the same overall story, although with what we can only assume is a bit of favoritism towards higher GPU core count, sprinkled in. Of course, for the sake of fairness, we can's skip over the Basemark ES 3.1 / Metal numbers either. Mainly to illustrate how throwing Apple's Metal graphics API into the mix disrupts the poll positions quite a bit. Never underestimate the power of proper hardware/software optimization, especially when done on a closely monitored hardware and software ecosystem, such as Cupertino's. 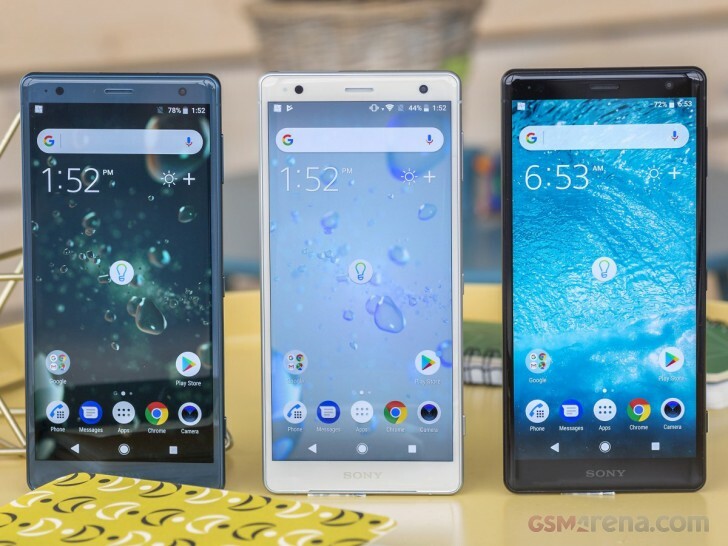 Owing to the Snapdragon 845 chipset, the Sony Xperia XZ2 is one of the fastest phones available today on both CPU- and graphics-intensive tasks. While playing the numbers game is good fun, the simple reality is that in real-world terms, the XZ2 is up with the best smartphones Apple, Samsung or Huawei have to offer. Plus, you can be pretty sure the Snapdragon 845 will stay relevant for at least a few years to come.